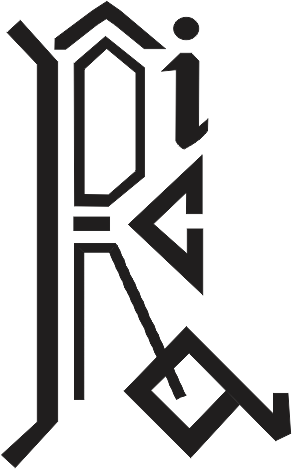 Students from all over Uttar Pradesh come to study at Ruchi’s Institute of Creative Arts at Allahabad. 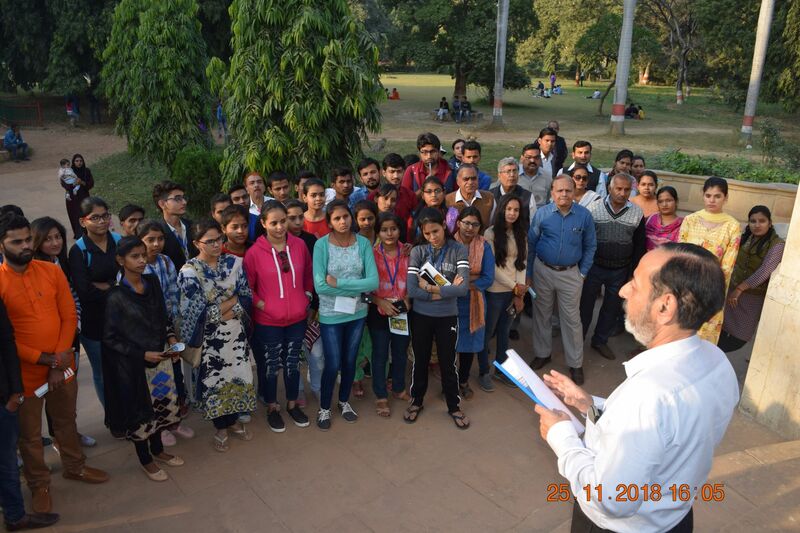 As part of the learning process the students were taken for a Heritage Walk to Company Bagh on 25th November 2018 where Prof Sanjaya Kala of the Allahabad University, walked with the students and narrated the history of the Bagh where people today roam and walk around freely and which was once the centre of the 1857 Mutiny and the Independence struggle. It is from a densely populated village known as Rasulpur (on which the present Company Bagh now stands) that the historic decision was taken the famous freedom fighter Maulvi Liyaqat Ali for native Indians to rebel against British forces in India in the Mutiny of 1987. 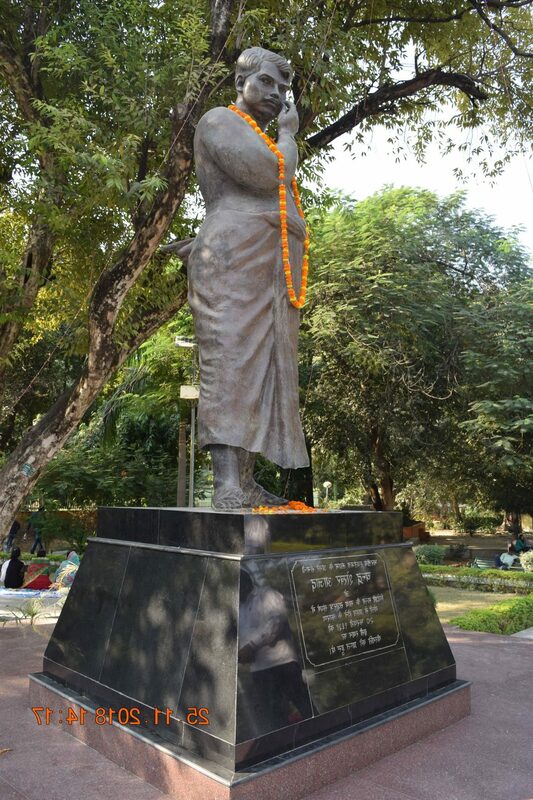 The Company Bagh now known as the Chandrashekhar Azad Park, (and earlier known as Motilal Nehru Park, Government Gardens and Alfred Park) has a history of its own. 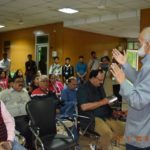 The entire area of the park which now has 133 acres, during the pre-British period included Rasulpur, Samdabad, Fatehpur Bicchwa, Mehdauri and Beli villages. 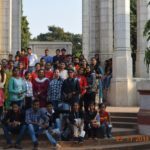 After the on 6th June 1857 Mutiny, Colonel Neil, a British Army officer ordered massacres in Allahabad killing more than 6000 people, of which more than 3000 people were from this area where the park stands today. 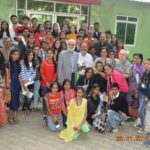 The Company Bagh stood as a silent witness to the killing of men women and children mostly of the Mewati-Pathan clan who had supported the Mutiny and Col Neil began to be known as “The Butcher of Allahabad”. On 27th February 1931 Azad was attacked by the Britishers while he was having a meeting at the Company Bagh along with other revolutionaries. Azad forced his fellowmen to escape while he face the British army alone and after bravely facing the onslaught he succumbed to the incessant firing. The entire Park is now named after him. 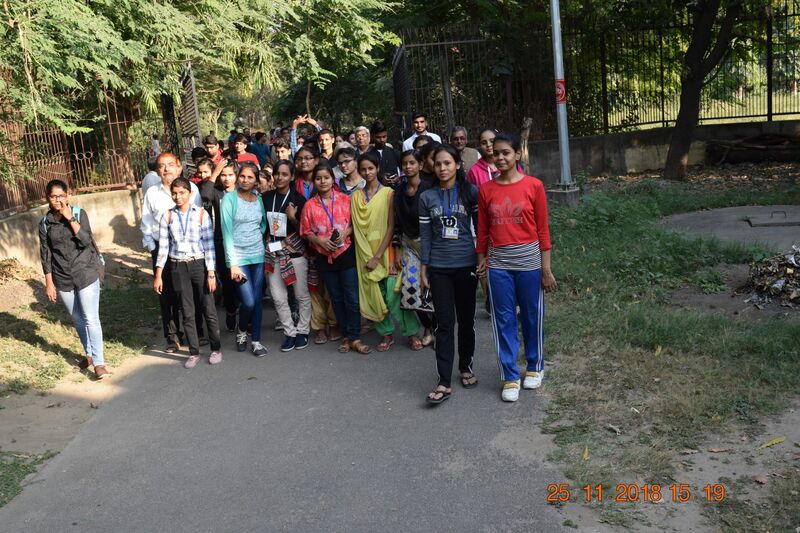 The students payed their Homage to the statue of Chandrashekhar Azad and then walked towards the Public Library. 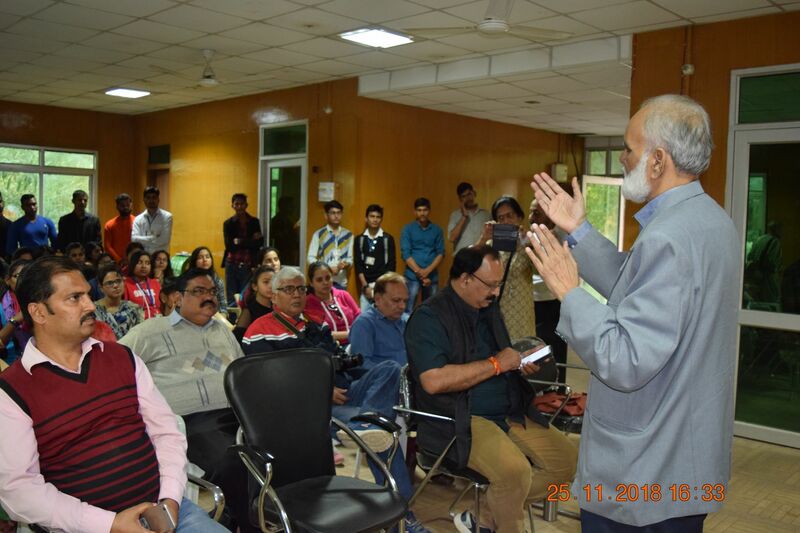 Allahabad Public Library also known as Thornhill Mayne Memorial is a public library situated at Alfred Park in Allahabad and was setup in 1864. 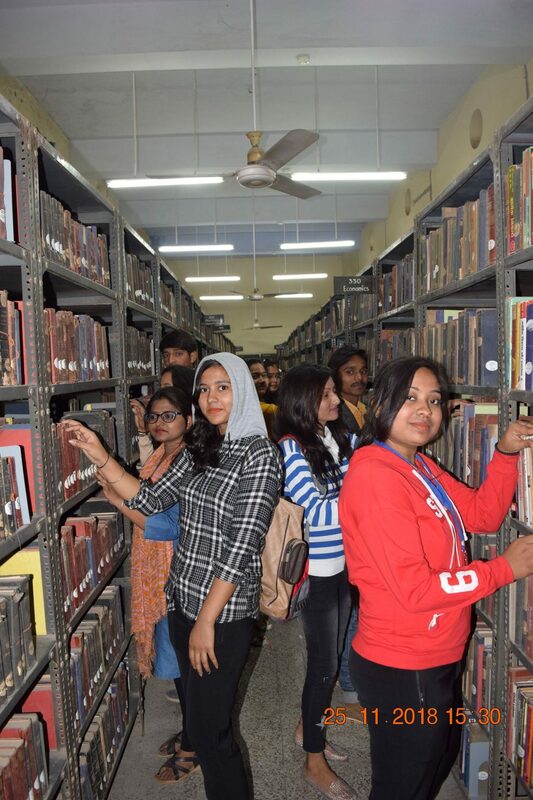 It is the biggest library in the state of Uttar Pradesh. The building designed by Richard Roskell Bayne has Scottish Baronial architecture. 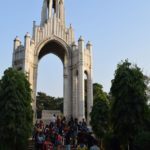 The monument has served as the house of legislative assembly in British era when Allahabad was the capital of United Provinces. In 1879, the Public library was shifted to the present premises at Alfred Park. 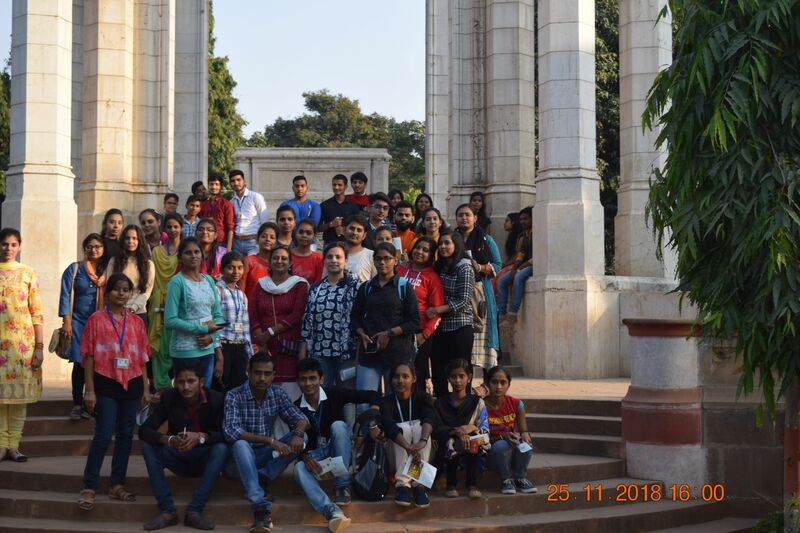 After exiting from the Library the group walked to the Victoria Memorial which has a large canopy made of Italian limestone, dedicated to Queen Victoria stands in the Centre of the Company Bagh. 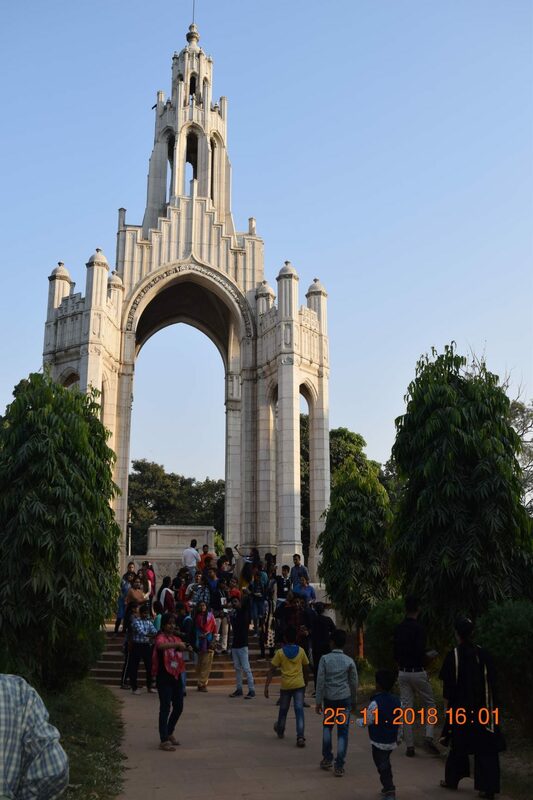 It was inaugurated on 24th of March 1906 and it once sheltered a huge statue of Queen Victoria which was later shifted to Lucknow Museum. 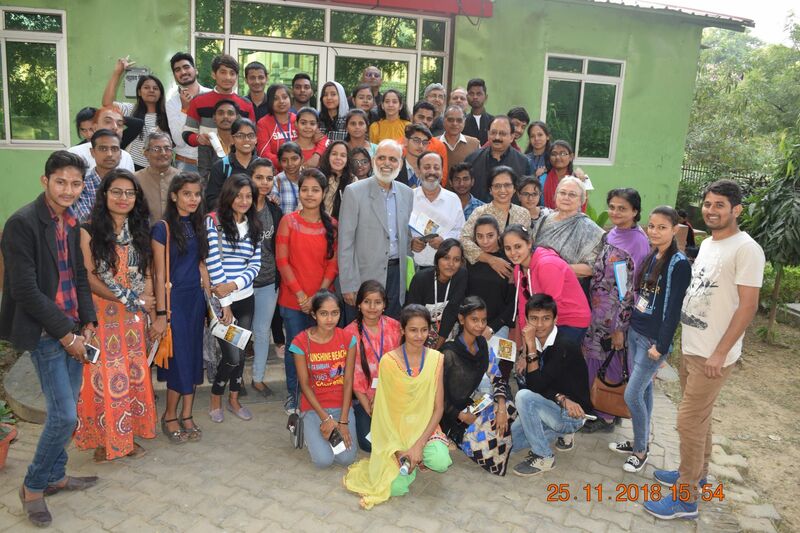 After this the Heritage walk group assembled at the Dhyan Kendra hall and were addressed by eminent botanist Prof Surendra N Srivastava who give a very informative lecture on forests and how one should understand the role of nature in our lives and called upon the students to plant more trees to check pollution and global warming. This was followed by a snacks and refreshments.